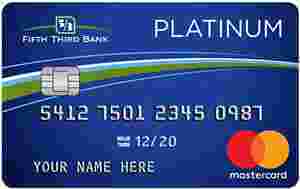 Fifth Third Bank Secured Card is typically available to those with poor credit scores (650 or greater). The Fifth Third Bank Secured Credit Card is a secured credit card that offers most of the same benefits and convenience of a regular credit card while building or rebuilding your credit history with every use. This secured card doesn’t offer rewards, but it offers a few nice perks. I do think it’s nice that this card offers some unexpected treats, such as cellular telephone protection. There’s also a MasterCard Airport Concierge service. This card can help you build your credit, but it has an annual fee and a relatively high minimum security deposit. It’s real value is consistent account reporting to the three major credit bureaus. With responsible spending and on-time payments, you’re on your way to graduating to an unsecured card — possibly one with travel or other rewards.